1. 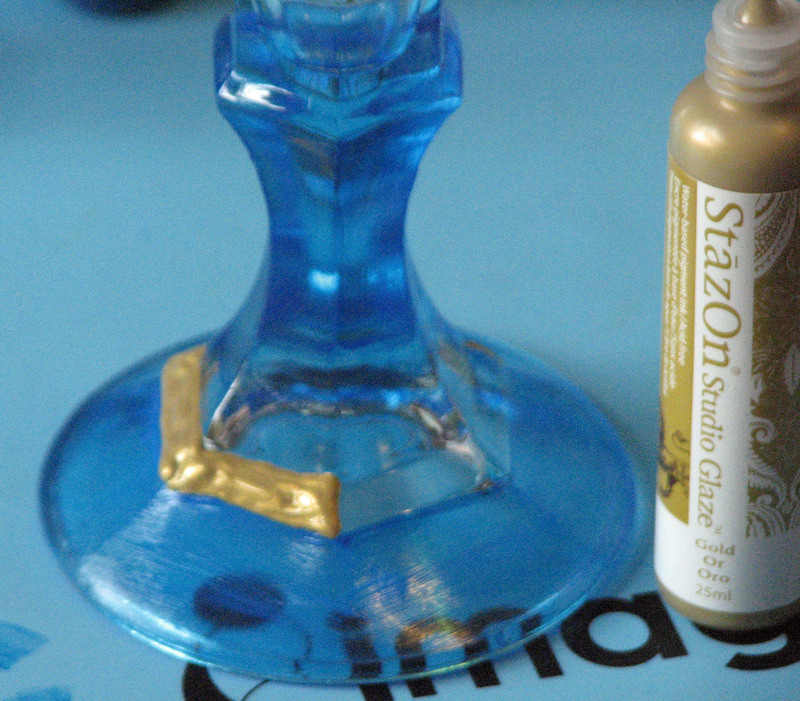 Apply Blue Hawaii StazOn Studio Glaze to the glass candle sticks using a small paint brush for thin streak free layers and let dry. NOTE: Studio Glaze is a transparent medium that creates a lovely stained glass effect, perfect for these glass candle sticks. It works very well on glass, acrylic, metal, wood, paper and other non-porous surfaces. 2. Apply one or more additional layers of Studio Glaze until you achieve the desired color letting each additional layer dry before adding the next. 3. 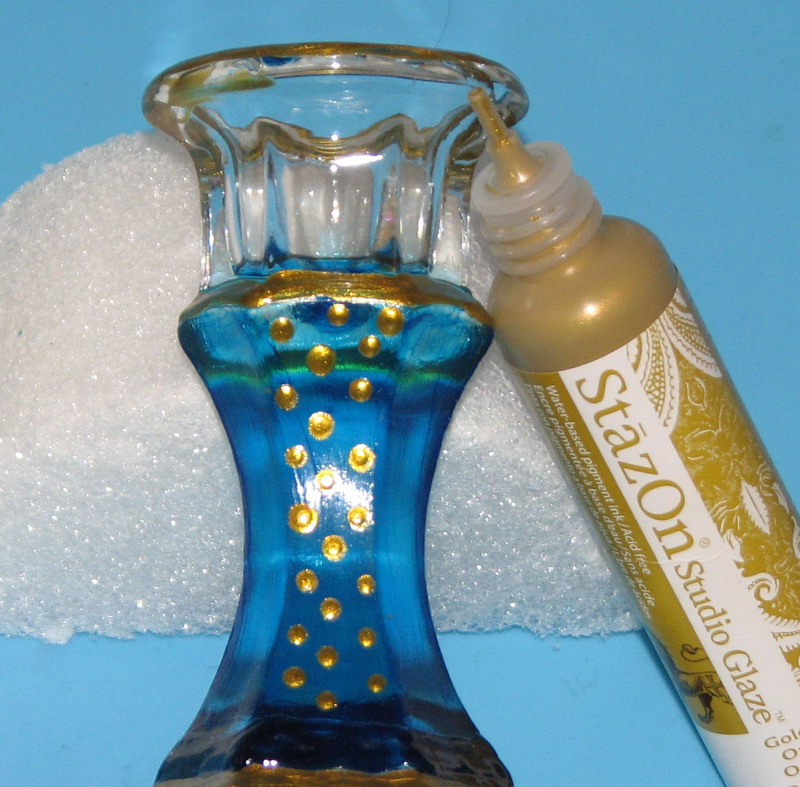 Use Gold StazOn Studio Glaze direct from the bottle to create accent bands on each candle stick. 4. 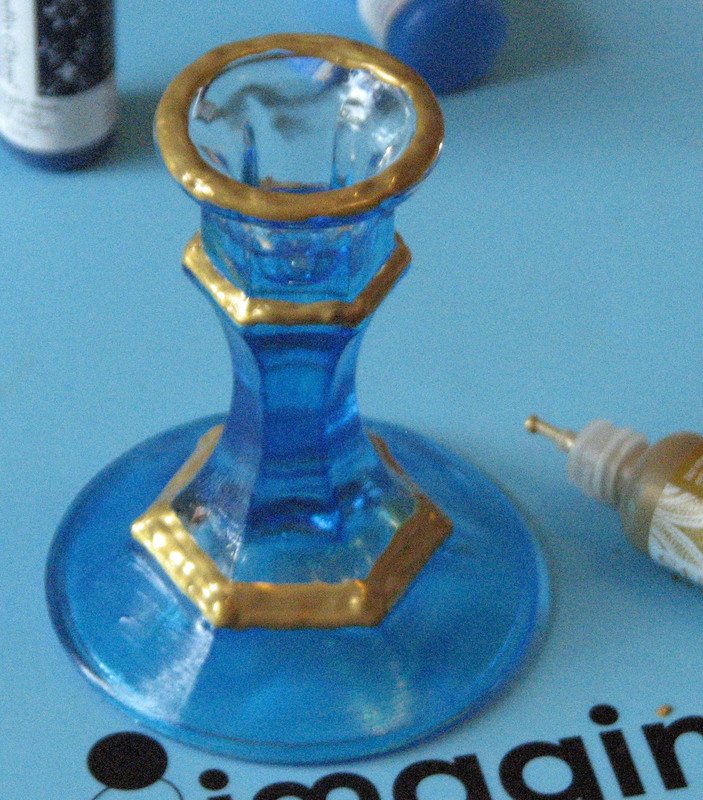 Continue to accent the candle stick with the Studio Glaze, let each area dry before adding the next. 5. 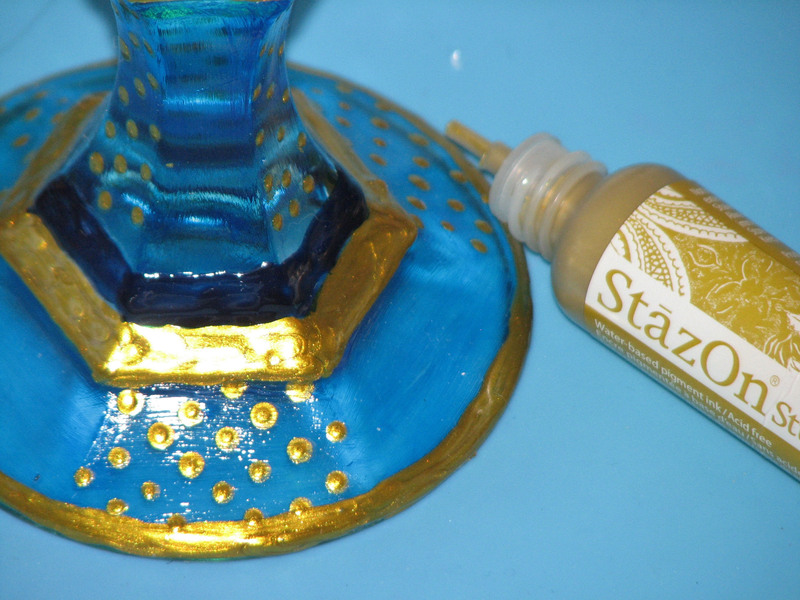 Again using the Gold Studio Glaze direct from the bottle, create a polka dot pattern along the sides of the candle stick. 6. 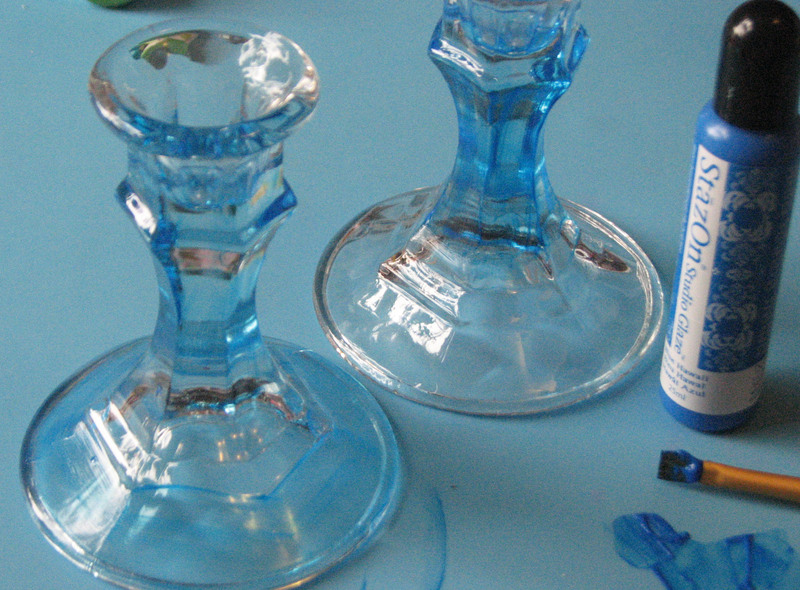 Add polka dots to the foot of the candle stick. 7. Embellish the candle stick with vintage lace and silk apple blossoms.